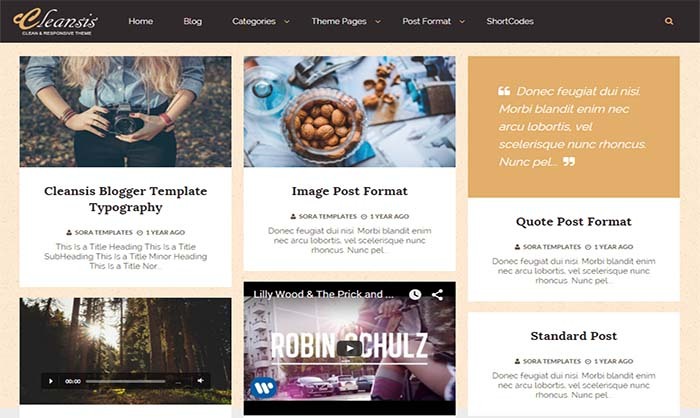 Cleansis Blogger Template is a Awesome Masonry blog style theme that allows you to choose from a 8 Post Formats. Cleansis Blogger Template will surely amaze you at the first sight. It is the fully responsive HTML5 & CSS3 template that best used for blogging, personal portfolio, even business portal. The template layout and mechanism are enhanced to deliver all images and graphics with WOW effect.